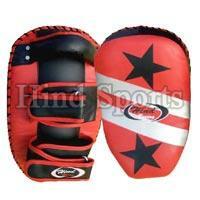 We are an eminent Muay Thai Boxing Pads Manufacturer, Exporter, and Supplier in Uttar Pradesh. 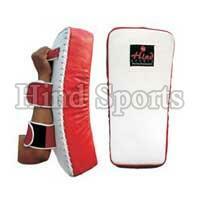 The Muay Thai Boxing Pads that we offer are made from skin-friendly fabric and strong Nylon. 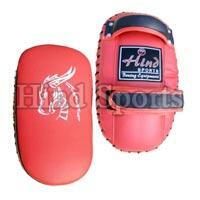 The Muay Thai Boxing Pads provided by us have wide cut design for light kick. 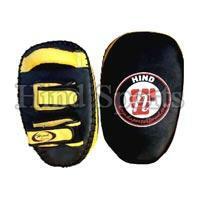 Computerized designs and Thai letters are imprint over outer trim of the Muay Thai Boxing Pads.